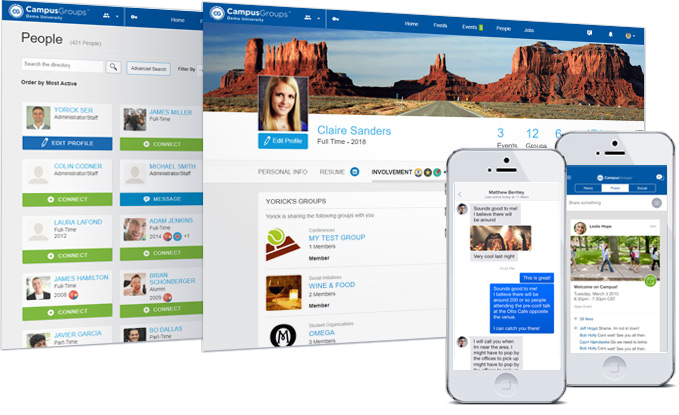 Groupment is the most powerful community engagement platform, featuring all of the tools groups need to keep members Connected and Engaged. Enjoy a streamlined all-in-one experience. 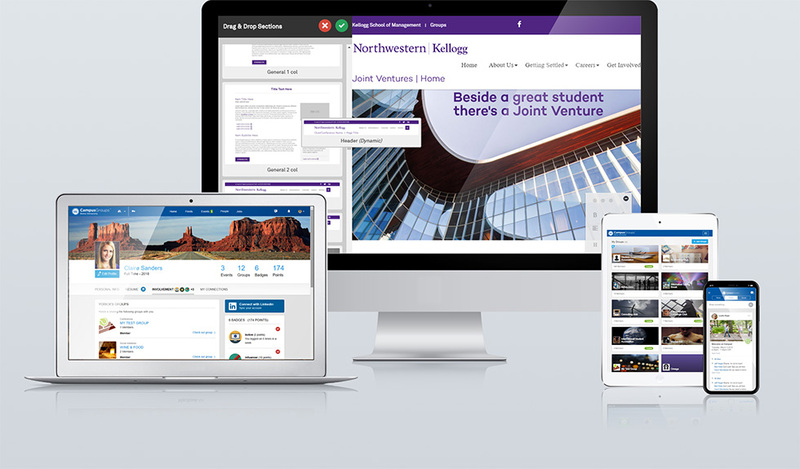 No one likes logging on a dozen different platforms — Groupment helps every student, group, and department stay organized and efficient by giving you all of your tools in one place. Organize all your events, small and large, on one platform. 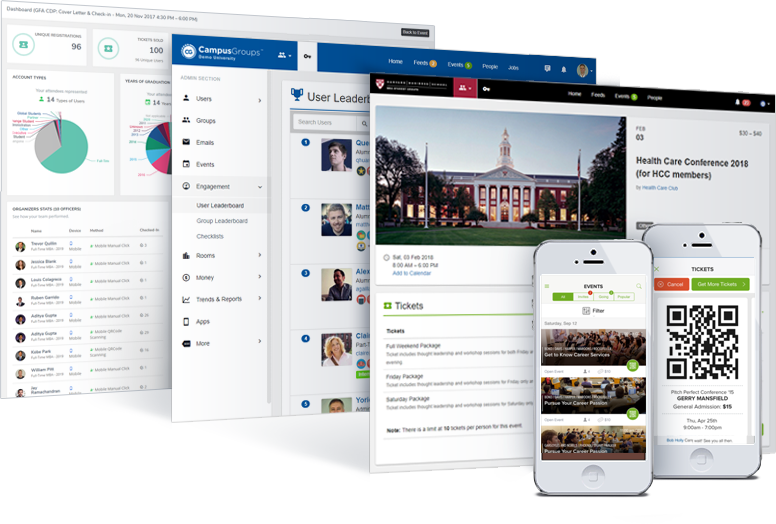 Centralize all your school's events on one calendar, promote events through multiple marketing channels to maximize visibility and registrations, scan QR codes or ID cards at the door, or simply allow users to self check-in. Keep all your users connected and always in the loop. 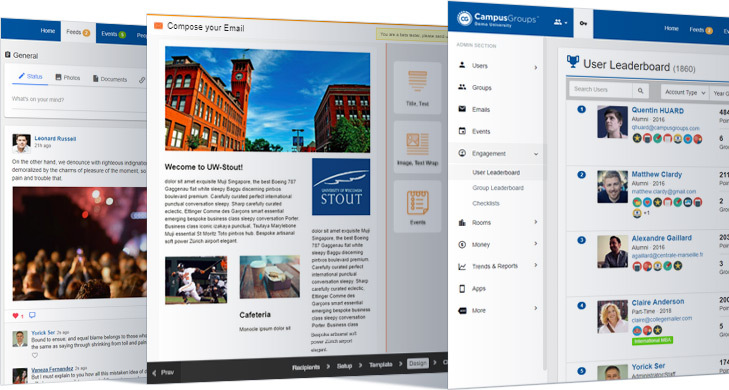 Share updates on the campus news feeds, send targetted newsletters, start group chats, create topic specific discussion threads, and host easily-accessible online resources. Let your community benefits from a large number of engagement opportunities. Foster a culture of networking and collaboration through events, direct messaging, mentoring, gamification and a searchable directory for everyone on campus. Streamline all your administrative processes with powerful tools. We empower our community leaders with advanced reporting tools, forms with conditional logics, approval workflows, elections, quizzes, and integrated budgeting & finance modules. Give each of your groups a dedicated digital space to connect and share ideas, with complete privacy, zero advertisements, and a secure platform for important files and information. Each group functions as its own closed system, allowing you to customize your profile and settings for every community you join. Your Groupment data is your data. We are not selling it to advertisers. 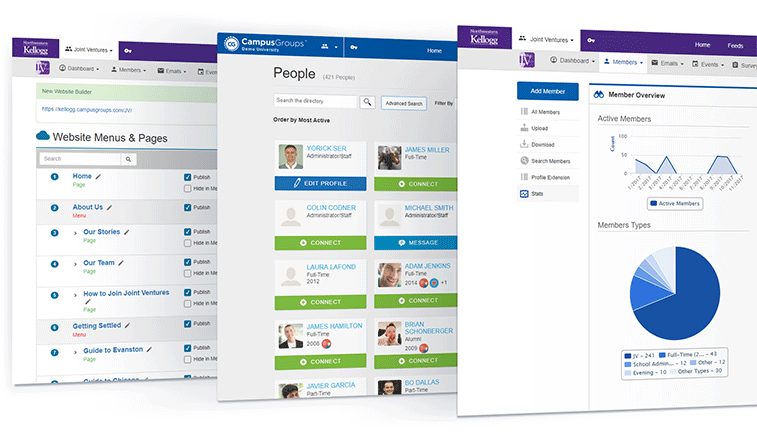 Restrict access to your group or certain features, one user at a time. Keep all your groups separate with group-specific sign-ins.